Cystic fibrosis (CF) is a genetic disorder in which the secretory glands (those responsible for secretions, like mucus or sweat) don’t function properly. The mucus produced is too thick, plugging tubes and causing serious issues in the respiratory and digestive systems, like chronic coughing or an inability to absorb nutrients. While CF was once a death sentence for many, today there are not only several types of therapy for symptomatic treatment, but recent breakthroughs also go directly to the source of the problem. There is no standard treatment method, because every case of cystic fibrosis is different. There are, however, several methods of dealing with the underlying issues that cause larger issues. The goal of airway clearance is to break up and dispel mucus buildup in the lungs, thereby easing breathing and decreasing infections. Younger children may need help to perform these, but older members of the CF population can usually do them on their own. There are a variety of techniques, and different ones may be more appropriate for different people. 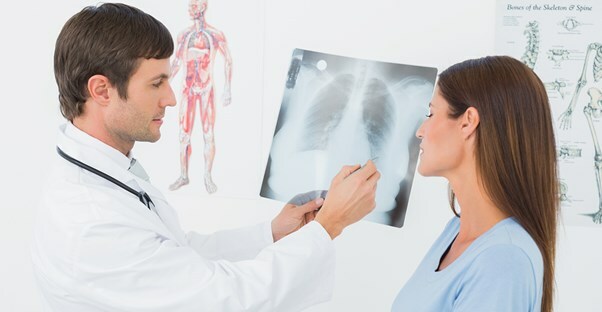 Regardless, they must be done on a consistent basis to improve lung function. Percussion and postural drainage requires the assistance of a caretaker; the person with CF assumes a particular position while the helper cups their hand and claps the chest wall, creating a vaccuum that loosens mucus so it can be coughed up. One of the easier, more independent techniques involves high frequency chest compression. With it, a vest attached to an air compressor inflates and vibrates the chest, similarly loosening excessive mucus. The Cystic Fibrosis Foundation’s studies found that the effectiveness of any one technique is largely dependent upon the patient, but that any is better than none. The chest compression vest is a favorite of many patients, as it allows additional medications to be used simultaneously, allowing for less time treating and more time living. A nebulizer allows liquid medication to be inhaled (like asthmatic patients use). These medications not only help improve lung function, but also generally include an antibiotic as well, to prevent the buildup of bacteria that is common in excessive, unmoving mucus. However, medication alone is not usually sufficient to treat the symptoms of cystic fibrosis. Diet is an important aspect of cystic fibrosis. However, it doesn’t matter how well you eat if none of the nutrients are being absorbed. The pancreas sends enzymes to the small intestine to break down food and absorb vitamins and minerals. Excessive mucus in CF patients can prevent those enzymes, thus essential nutrients are not received, causing growth and weight gain issues. Many patients take a pancreatic enzyme supplement to improve that absorbtion every time they eat. A doctor may also recommend multivitamins and other nutritional improvisation. According to the CFF, in 2012 a treatment was discovered that targets “the root cause of cystic fibrosis, a defective protein known as CFTR.” The cystic fibrosis transmembrane conductance regulator is actually altered by the treatment, letting salt, and bodily secretions thereby, move and release the way they should. This treatment in particular was a miraculous breakthrough that may add decades to a patient’s life.